Safes – Luxury Home Safes - Brown Safe Manufacturing, Inc.
Safes Built to a Higher Standard. Customize your own jewelry safe. Your Chronos luxury watch safe is waiting. From military-grade vault doors to ballistic & fireproof jewelry safes, Brown Safe Manufacturing has been the leading premium safe manufacturer for over 35 years. Brown Safe is the top manufacturer of high-security luxury safes and vaults. We also offer a wide range of standard safes, and lead the industry in custom-built solutions. We sell direct to the customer. For those demanding the highest in quality, security, and convenience, our luxury lineup is sure to please. Brown Safe Manufacturing has designed and built the world’s finest security products for over 30 years. Each one of our high security safes is made to offer the utmost in performance and protection. Everything we build is made in the U.S. by our highly skilled craftsman and overseen by the owner and founder, Frederick Brown, himself. We take great pride in producing top-notch luxury safes, gun safes, and vault doors that continually prove to be more than capable of withstanding harsh abuse and the daily demands of governmental agencies worldwide, military applications, and foreign embassies, along with the needs of celebrity clientele and hard-working homeowners alike. Our extensive product line has been developed over our many years of experience and through a hands-on approach with the end user. This ensures we have the perfect high-security storage solution for whatever your needs may be. Any security product we manufacture can be custom-tailored to fit your individual requirements and personal style. Additionally, if you have a specific vision that goes beyond our available product line, then we can create custom safes to fit your exacting specifications. Start designing the perfect solution for your needs today by visiting our home safe page. Creating world-class safes is our passion and we settle for nothing less than creating the best safes and vaults available worldwide. Please enjoy having a look around our website and learning more about us, our safes, and safeguarding your treasured valuables. WHY BUY A BROWN SAFE? Our safes set the standard in luxury and security. Our family name is on the front of each safe, and our family has made a steadfast commitment to manufacture an incredible product that you can depend on and pass on for generations. Each one of our safes is meticulously crafted in our Vista, California headquarters using the most advanced engineering and manufacturing processes, and when we say that it is made in the USA we mean exactly that. We start with sheets of solid steel, wood and leather, and our craftsman weld, stitch and plane those materials into a genuine one-of-a-kind piece of highly functional art. We are also relied on by the US government to defend against real world attacks in the most dangerous places in the world. Our safes and vault doors are installed in US embassies, military bases, and on naval ships the world over. With Brown Safe you gain the same advanced protection as our military-grade models, but with the refined materials and luxurious amenities worthy of a bespoke luxury product. Owning a Brown Safe will put you in a very elite class indeed. No fine print, just an honest promise that further sets each Brown Safe apart. As a family run operation, we take the utmost pride in each and every safe and vault door we manufacture. Simply put, we stand behind our work and guarantee every safe and vault door that leaves our facility meets our company motto of Built to a Higher Standard. Every safe we produce carries a 50 year warranty. This covers the entire safe front to back, inside and out. 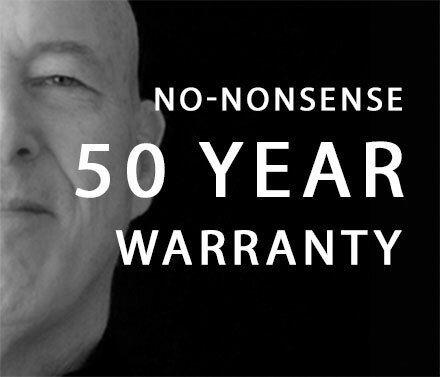 It is a true 50 year warranty which covers the safe even if you aren’t the original owner. If you have a problem with your safe we want to hear about it, and we will make it right…period. The bottom line is: You placed a great deal of trust in us when you purchased one of our safes, our family name is on the front of each safe, and our family has made a steadfast commitment to manufacture an incredible product that you can depend on. Brown Safe has built its reputation on providing the most secure safes and vault doors produced anywhere. When you strip away the marketing hype, and deceptive practices, you will quickly realize that our base protection level exceeds that of many others’ top rated models. We build beautifully crafted safes with a host of luxurious amenities and fine finishes, but first and foremost our safes are designed to protect your valuables. We refuse to use cheap formed sheet metal and try to pass it off as a real safe. We use thick plate steel, and lots of it, to ensure your valuables are actually Safe. 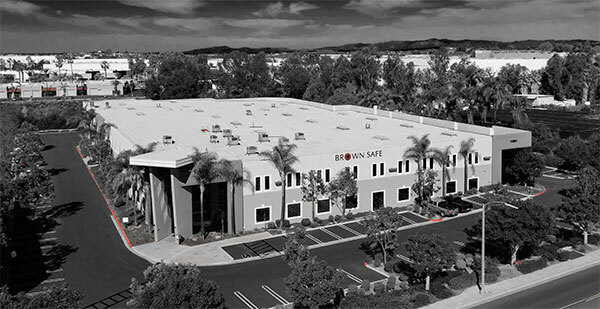 Brown Safe has built its reputation on providing the most secure safes and vault doors produced anywhere. That’s why our security products are relied on to protect sensitive information, advanced technology and personnel in US Embassies and Military bases around the globe. Brown Safe products are forged from real world experience and cutting edge manufacturing practices. We can customize any safe to reflect your individual style and personal desires. Unlike most other so-called manufacturers, we build every aspect of your safe by hand in our facility. Consequently, Brown Safe is able to build your perfect safe without compromise. Do you need a custom size to fit a particular space? Perhaps you’d like your collection of valuables displayed in specific way, or need a selection of finishes that perfectly matches your existing decor. Brown Safe’s in-house designers and craftsmen have you covered. From custom sizes and configurations to exotic finishes and fine materials we can create a truly one-of-a-kind safe tailored specifically for you. Call us at (760) 233-2293 and speak with one of our knowledgeable and friendly designers to begin creating your ultimate safe, or use one of our helpful online configuration tools to design your own. Making the claim, “We make the best safes, and vaults in the world” might sound like marketing hyperbole, but we at Brown Safe Manufacturing strive to prove that statement every day. The Brown Safe philosophy is simple; Use the best materials, tools, and engineering practices available. Brown Safe employs experts in every facet of the safe making process. Experts in welding, woodworking, leatherworking, and painting all have their place, and bring their mastery level experience, to produce your Brown Safe. This level of hand craftsmanship in a safe is unheard of in the industry, and exactly what sets Brown Safe apart. All of this attention to detail and old world craftsmanship might lead some to believe that Brown Safe is somehow mired in the past, but this couldn’t be further from the truth. Brown Safe is fitted with state of the art machining equipment and software with both artisans and engineers at the helm. Brown Safe utilizes cutting edge 3D software design and rendering along with laser cutters and CNC milling machines. All of this technology allows for precision and speed not only in new product development, but also in day to day production. The safe is in and the installers did a fabulous job. The equipment they had to lift the safe upstairs was both fascinating and amazing. Not a scratch anywhere and they were so careful. I would highly recommend them to anyone. I was speaking to my attorney the other day and recommended your company highly. He had not thought of a high-end safe at home since he thought he was covered by his safety deposit box. When I explained other issues he might face, he saw the logic of having one at home. Now that both are in, at some time in the future, I may consider another and will let you know. Our safe, installed by Custom Movers, is perfect and we are really happy with it. They movers were prompt and professional. Thanks again Matt for all your help. The safe is terrific. Even better than we expected. “I would like to express my appreciation for the beautiful safe I now have installed at home. It is always a huge leap of faith ordering such a large item from the other side of the world, however the safe arrived in amazing condition and has lived up to all my expectations. Opening and using the safe has become quite ceremonial- like, akin to the Japanese art of tea pouring, to be enjoyed, not rushed. All components work smoothly, from the push button lock, the door swinging open silently, and of the course the interiors are impeccable and extremely functional. While I hope we will never have our safe tested under traumatic conditions, I can now leave valuables at home knowing they are extremely secure. I just wanted to send you a quick note to let you know that our safe was delivered this morning. We absolutely love the safe and could not be happier with our purchase! In addition, John and his helper Lou did a wonderful job delivering/installing the safe. They were extremely professional and thoughtful and took numerous precautions to avoid any damage during the installation. I would highly recommend Guardian Angel to anyone in my area who was in need of such services. Thank you and everyone at Brown Safe for building such great products and for coordinating the installation!